Time to sell your Beach & Yacht Club condo? Read about today's resort-market condo buyer. 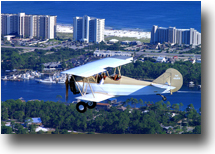 The Beach & Yacht Club is located on the western end of Perdido Key, Florida, close to Orange Beach, Alabama. The condos in The Beach & Yacht club were built in 1985 and floor plans range from 1,400 square foot two-bedroom units to 1,700 square foot three-bedroom units. The amenities for The Beach & Yacht Club include a community clubhouse, fishing pier, exercise room, onsite management, gulf-front pool, tennis/racquetball area, and boat facilities that include a boat ramp, trailer storage, and boat dock. Please let us know if you would like further info for the Beach & Yacht Club or any other condos, homes, or real estate along the Gulf Coast or would like to schedule a private viewing by emailing info@condoinvestment.com or by calling (251) Area-Pro (251-273-2776) for immediate assistance. Click here for aerial photos of the Beach & Yacht Club condominium in Perdido Key, FL.